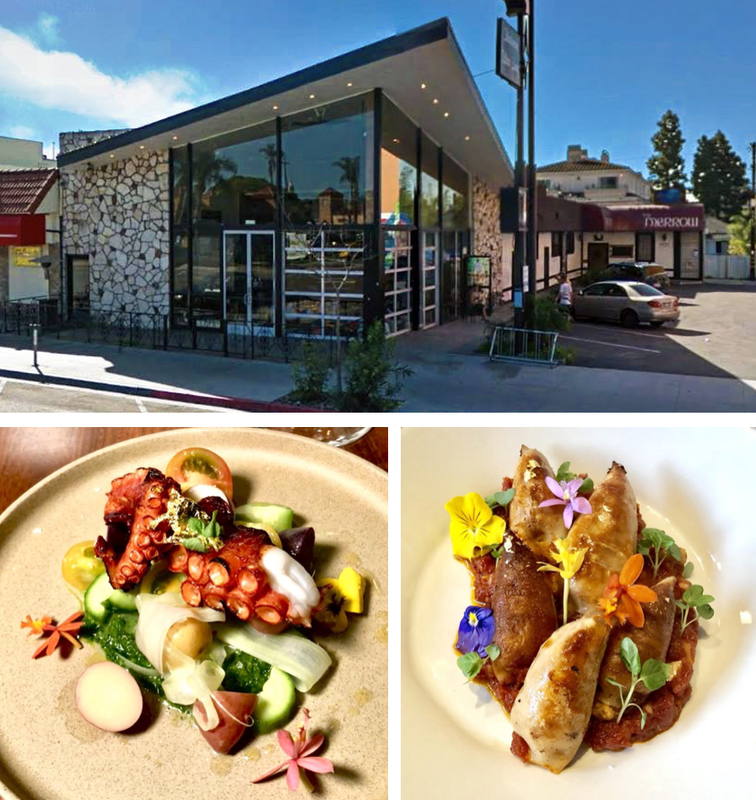 Opening in what many believe is a cursed building that last housed the short-lived Bull & Grain on University Avenue in San Diego's Hillest neighborhood is Ad Libitum, a contemporary cocktail bar and globally-inspired restaurant from two Le Cordon Bleu graduates. "Ad Libitum is Latin for 'At Your Liberty,'" explained owner Peter Shih. "Ad Lib is the short/common form of the word, and it’s a musical term for dictating 'the performer decides the pace and tempo at which to perform the music.' Our concept is to create a space where people could enjoy great food and drinks without any particular restriction to type or form." Owned by Peter Shih with a kitchen helmed by Executive Chef Irene Yoon, both graduates of Le Cordon Bleu culinary school, Ad Libitum will be a bar and restaurant rooted in the foundation of mastering classic recipes. Chef Irene Yoon has double culinary degrees in both French cuisine and baking and has spent the past 3 years working at top restaurants in Seoul and Bali. There will be an ever-changin lineup of dishes like toasted brioche with blue crab; crispy skin pork belly with orange marmalade, pickled onions and jalapenos; calamaris stuffed with chrozo; grilled octopus leg with pesto; jidori chicken with wild mushrooms; and Chilean sea bass with grapefruit and cous cous. Ad Libitum's bar program will be designed by Jay Choi and Ram Udwin, San Diego natives and former Bar Manager at Hive. Expect a menu centered around craft cocktails, and like the food, they will be taking inspiration from classic recipes and add their own twist. All syrups will be made in-house from fresh ingredients, and there will be a barrel-age cocktail program for drinks such as the bourbon Old Fashioned and the Black Manhattan. The space on a quiet stretch of University Avenue is currently undergoing a redesign to give it a sleek, minimalist look with accents of concrete and wood. The bar area will feature custom made oak barrels that will be utilized for aging craft cocktails. There will be a 16 seat outdoor patio with roll-up windows on the front of the building. 1263 University Avenue has housed numerous tenants over the last few years, as it appears to be one of those doomed spaces that we all have heard about or seen in one form or another. Most recently, the building housed Bull & Grain, which opened in September 2016 and was closed by Summer 2017. Before that, it was the site of the boardgame-centric Tabletop Commons, which closed in early July 2016 after only a little more than a year in business. Prior to that, the location housed Commonwealth Ultra Lounge, which also did not make it to the 2 year mark. And even farther back, The Ranch gave a valiant attempt at success in the space before ultimately failing in a short period. Ad Libitum is expected to soft open during San Diego Pride Weekend. Initially, the restaurant will open for happy hour and dinner service, along with Sunday brunch.